To make your plot nice for a look, each owner tries to decorate it. Tastes differ, but the tree on plot a would like to plant. Most owners own a parcel pleased to put it on the tree. 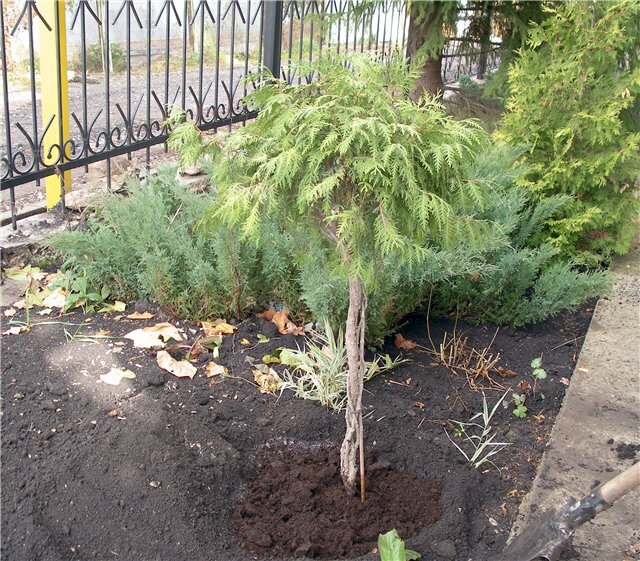 This tree is not only evergreen, but it is very typical for the Russian landscape and for registration of a piece of land in landscape style will fit just perfect. But not each plot area allows you to do it. 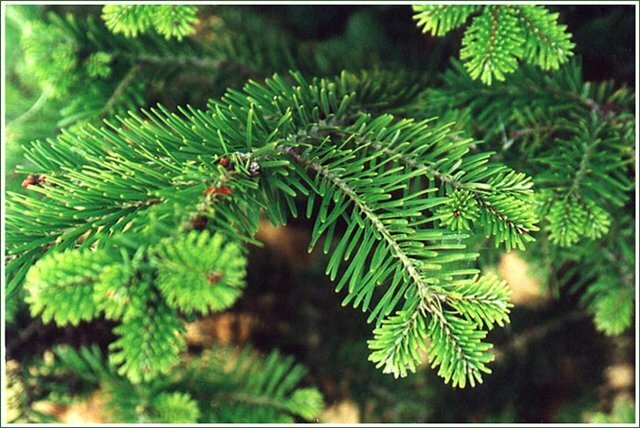 Spruce belongs to the pine family – tree large, crown narrow, conical, straight trunk. The breeders have selected many varieties for different kinds of needles, different shapes and heights, so when you run a landscape composition you can choose from a large number of options. How many centimeters per year a tree grows depends on conditions, terrain, and from selected varieties. In the development of the composition must take into account that planted the tree long to be small and beautiful. After a few years she will take much more space than at first. If you wish to Refine site evergreen tree should not be planted dug in the nearby woods. First, it's illegal, secondly, transplanting wild trees will lead to the fact that in a few years your yard will not grow maintenka beautiful tree and widely ramified uncomfortable monster, whose lower part of the trunk, however, will be naked. A great alternative is to choose something refined varieties on which worked breeders. This can be a canadian tree, blue spruce, or blue, Serbian spruce. These varieties are well suited for life in the climate of Central and quite nice in appearance. Young firs grow slowly. The first time they will be able to reach only a few centimeters per year. Later, when the plant is already well established, if the soil is suitable for him and light enough, the tree will begin to grow faster in the year the increase is from 8 to 50 cm, of Course, these are averages. Dwarf varieties, grow slowly. In order to gain in length of one meter, the tree takes about seven years. Here we have in mind that the tree will grow "from scratch". If you do not go to extremes and buy conventional planting a sapling about five feet, an excellent tree with good height will increase by about 10-12 years. 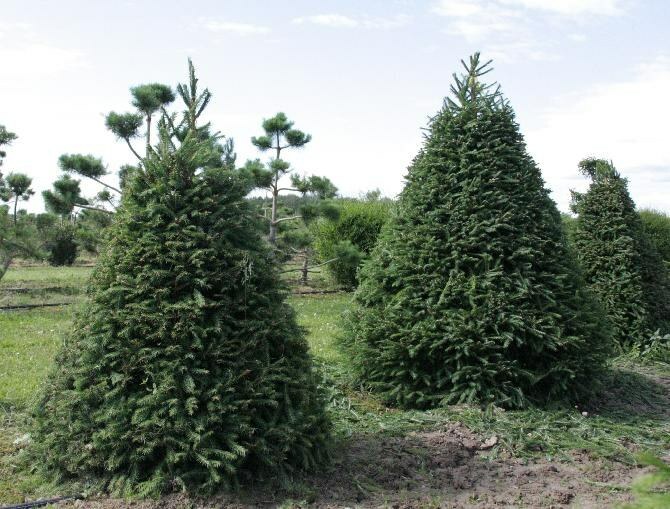 If the site is small, it is better to choose a dwarf spruce. Typically, these types of have a beautiful shape of the crown and on small plots look very good. A year they grow about 3-5 cm. In order to gain growth, of ornamental dwarf spruce, we need more time. In the period when the plant only survives in the area, it needs careful care. It is necessary to carry out the additional forage, watering, particularly if the climatic conditions differ from ideal or turned out to be a dry summer. In the spring, some varieties need protection from the sun. To put around the house the Christmas tree is a great idea. An evergreen tree will please the eye year-round. For the holidays it can be decorated, drive around eating dances. But what to do to spruce caught? Better to plant the tree in winter. In the forest, select suitable tree. It should not be too large, because young trees take root better. When the earth will freeze up to 30 cm long, carefully dig up the tree. It is necessary not to damage the roots. To do this, you must first be dug around the tree groove and to allocate kom around the roots. Whom would be covered with ice, it can then from the bottom to cut the steel cable and remove the spruce. When you carry the Christmas tree, Nestle kom sacking. Prepare a suitable hole for the EFI. It should be large enough that the roots of the trees were not crowded. Prepare well in thawed soil for backfill of the pit. This few days keep the land in a warm room. Submerge the tree into the hole, cover with soil. Insulate the root collar of the spruce and the space around with the help of peat and snow. The layer should be about 10 cm thick. Wait until spring when the snow melts, remove the peat from the root collar. Then shape around the tree a small indentation for irrigation and pour the wood. In the water you can add a growth stimulants. 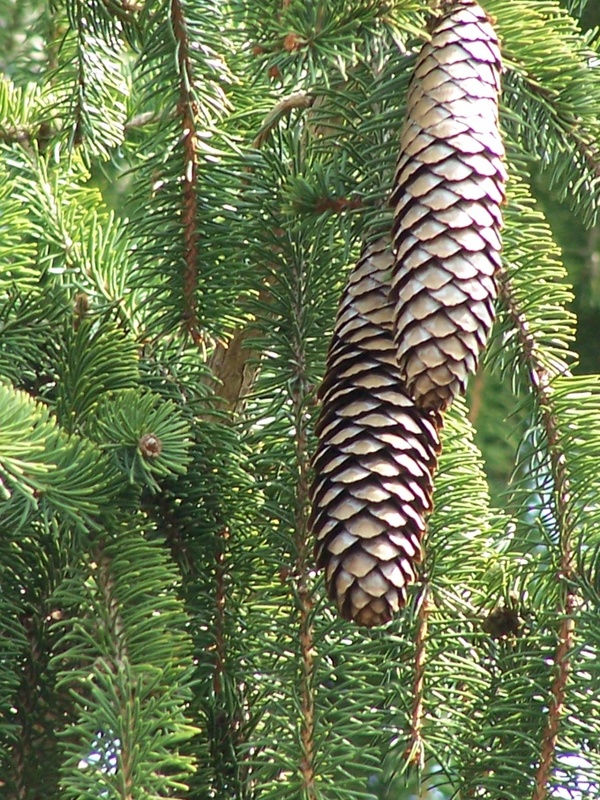 The trunk of the spruce can be strengthened with the help of stretch marks. The space around the trunk cover with mulch to water is less evaporated and not grow weeds. Watered the tree, planted in the winter, up to 12 times per season. Watering should be abundant. Spruce, pine, fir and other coniferous trees paint any area. You can plant only a tree and enjoy the evergreen beauty and summer and during the holiday season, or make several spruce trees a natural, green fence is unattractive fence boards or lattice. However, coniferous trees are not the most undemanding plants, so you need to know some rules when they fit. Spruce, like all conifers should be transplanted maintaining quite a large lump of earth around the roots. Prevent denudation and desiccation of the roots, even for a short time. If you buy a spruce, note on the root system, the roots should not be trimmed too short. For example, for spruce with a height of 2m is necessary to keep the roots with a length of about 80 cm. 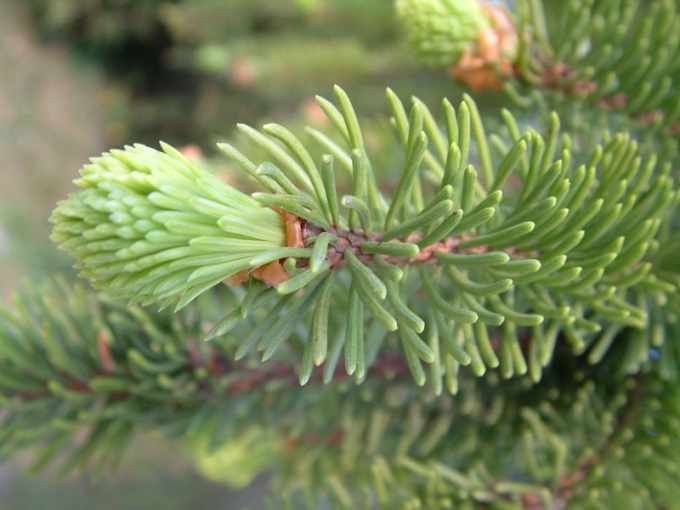 In Central Russia planting a fir tree at the end of April–early may or late August–early September. Select for planting a cloudy day or a time after rain. If you put more large wood, more than two meters, it is best to plant it in the winter with frozen clod of earth. All ate hardy, and planting fir trees in winter allows you to better preserve the root system of the tree during transport. The temperature should be below -15 degrees. When choosing a place for planting, be aware that subsequently, next to the El are unlikely to be able to grow anything but Heather. 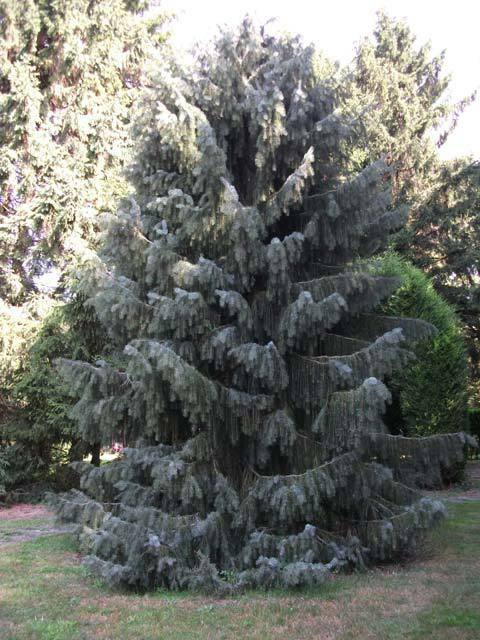 First, conifers do not tolerate neighbours, and secondly, the shadow of the broad branches were not allowed to grow other crops. Dig a hole 10 to 20 cm deeper than the height of the clod of earth around the roots. If the soil is characteristic of the excess moisture, loosened the bottom of the pit lay the drainage, broken bricks. Fall asleep fit with a mixture of earth and peat, gradually tamping. After that pour very abundant and the first two to three weeks follow a constant humidity of the soil. 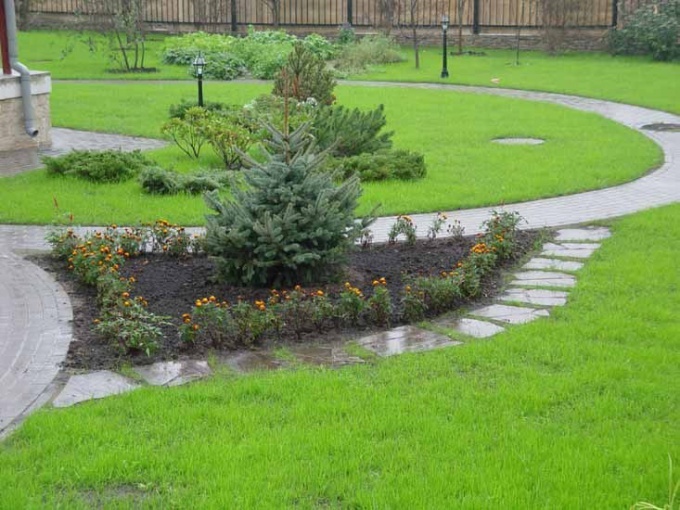 Fertilize spruce mineral fertilizers in April-may, prior to the growth. If you want to grow a tree from seed, buy a special ground for conifers or make your own from the ratio of 2 parts humus, 1 part sand. Under the soil should be drainage layer. Plant the seed no deeper than 1 cm, watered by the pallet. The Christmas tree is the perfect solution for the infield. It will be all year round to delight you with its beauty and resinous scent, purify the air of toxins and germs. Plant a tree by yourself is quite simple, only need to follow some simple rules. Select strong and healthy sapling tree at the age of two years. Look for it in a large kennel with a good reputation. It is also good to have a friend of the gardener or Forester – they will dig a small tree out of the ground. In our latitudes, accustomed and ordinary trees, and prickly, and canadian. Check the condition of the roots of the seedling. Grab a tree saved a clod of earth or a plant, the root system which is in a special container. The roots must be active, that is, with white tips. Plant a tree in late April-early may, when the buds are still asleep. So it is faster to cope with stress is to transplant, any transplant. Gardeners often plant spruce and at the end of August, early September. During this period the roots of the trees are actively growing. Prepare the hole for planting the tree in advance - two weeks. Typically, for a major two-year seedlings are digging a recess with a diameter of about a meter and a depth of 60-70 cm Planting hole, fill with a mixture of compost and humus, pine needles and add bone meal. Some gardeners pre-made fertilizers. But the majority of advises to do this in the spring when the tree is finally accepted and gets stronger. Place the sapling tree on a lightly deposited a mound of fertile soil and carefully spread the roots. Earth com should be able to slide in the landing pit. Slightly lifting the tree, fill it and seal the ground. It is important that it is then not settled, dragging the sapling. The place of transition of the trunk to the roots (root collar) should always be flush with the surface of the soil! Kopite next to the planted tree stake and tie it with twine. Around the seedling make a cushion out of the ground and sprinkle a plant sawdust. A well-watered tree, below in the pit, lost all of the "air holes". Your coniferous tree needs plenty of moisture, but stagnation of water it does not like. Therefore, the clay soil make sure drainage of sand. A VladDace country houses or cottages would like to have on your site tree. To fulfill this desire, they usually get the seedlings in the nursery. However, it is possible to transplant a tree yourself from the nearest pine forest. Wait until early spring as this time of year are pine trees take root better. Choose a location to transplant spruce on the site. It should be in the shade and be no closer than 10-15 metres from the house and other buildings. A closer look at the woods the young fir tree, preferably a height of about one meter. If the selected tree above, mark its southern side, tying thread strip of cloth. Pre-dig the plot hole of the desired size, the roots housed freely. For saplings taller than a meter pit should be the depth of about 70 cm and about 1 meter in diameter. To transplant a spruce tree without much damage to the tree, wait for suitable weather. Optimal conditions for transplantation – air temperature is +13-15 degrees and humid air (drizzle). Dig the spruce and carefully put her on her side. Under the roots of a tree podstolice a piece of cotton fabric measuring approximately 0.5 by 0.5 m. Carefully tie the ends in pairs to the roots of the tree was inside the cloth "bag". Move the tree to the intended transplant site. Prepare a hole for planting a tree. Sprinkle the bottom of fallen needles or sawdust, sand and mineral fertilizers (e.g., potassium chloride). If the soil in your yard is acidic, can be restricted to sand. It is also good to put on the bottom of several granite stones that will act as drainage. If you want to transplant a fir tree over a meter in height, make sure when planting it in the pit was observed orientation to the cardinal points. This will help you previously tied a piece of cloth on the southern side of the crown. Dip the roots of the tree in the hole, with the fabric – it should not remove or untie. This is done in order to keep intact rootlets. Bury the roots with soil, gently tamping it. Be careful when landing was not recessed root collar: it should be 5-10 cm above ground level. Liberally pour the tree and ensure that the soil around it from drying out. To plant or not to plant a tree in a suburban area - that is the question. 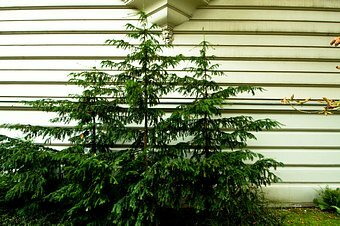 Superstitious people do not recommend, but landscape designers vying suggest not to be afraid of any will, after all, conifers are able to add to plot color. Fir is a female tree and, according to superstition, she is able to "survive" from the house of men. Our ancestors did not plant spruce near the house for fear that nothing will be born. However, by this logic, and birch, too, should not be planted, because it is a female tree. But no superstition about this no. Meanwhile, the same ancestors laid the spruce branches under the corners of the dwelling in its construction to protect the house from lightning during a thunderstorm. Other superstition, it was under the tree hides the devil during a thunderstorm. Therefore, this tree is considered the dwelling place of the devil and expelled brownie. However, in Orthodoxy spruce is quite a respected tree because it saved Christ from the plague, for which he was honored to be evergreen. According to the Oriental teachings, are the most useful flowering and fruit-bearing shrubs and trees. They attract the energy of life in the form of bees and birds, eventually becoming a powerful source of joy and spiritual growth. We ate at Feng Shui is able to pull the good energy to yourself. The worst option - a single fir tree in front of the house. In this case, the tree will be cut all the surrounding space of bad energy. If you cannot imagine your area without evergreen trees, stop the choice on the pine, not spruce. Feng Shui to a pine tree more supportive. Skeptical designers believe that eating at their summer cottage, there is only one danger - the tree may collapse from strong winds because it has a shallow root system. However, this problem can be minimized by planting dwarf varieties of conifers. Spruce will intonate useful volatile throughout the site and its background colors will look even brighter - these are not all the arguments in favor of registration of fir in the country. To plant a tree on your land or not to plant - now the decision is yours!